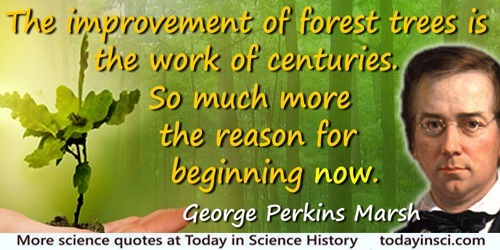 The improvement of forest trees is the work of centuries. So much more the reason for beginning now. Letter to C. S. Sargent, 12 Jun 1879. 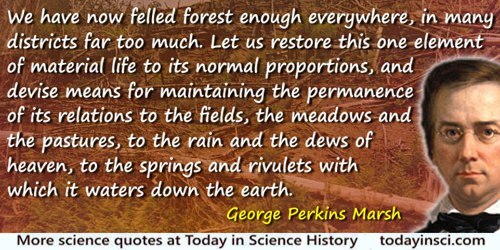 In David Lowenthal, George Perkins Marsh: Versatile Vermonter (1958), 255.